Pocosin Lakes National Wildlife Refuge (NWR) is a 110,000-acre peatland located in northeastern NC. The NWR was once ditched and drained for agriculture. When dried peat combusts, it releases stored carbon into the atmosphere. 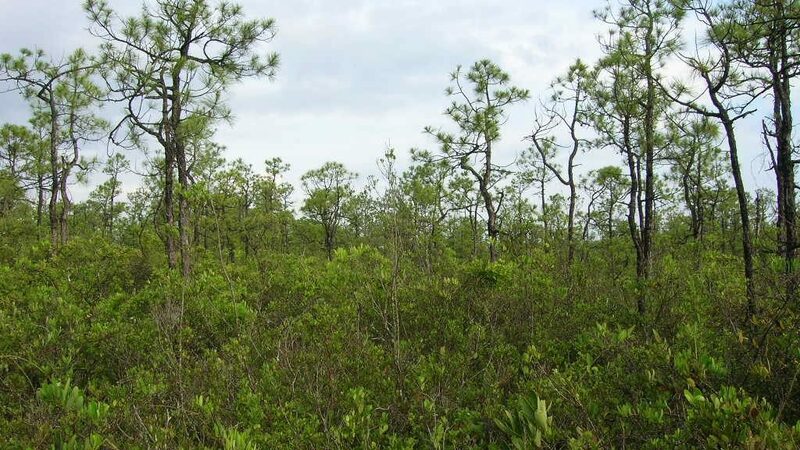 The past four pocosin fires burned 97,000 acres of peat and releasing 20 million metric tons of carbon. Current restoration efforts aims to restore the natural hydrology of the wetland by raising the water table, allowing it to regain its ability to sequester carbon.